The last decade has been a rollercoaster of historic highs and historic lows in the mining sector. While the industry currently enjoys strong commodity prices, the next decade is likely to see more vigorous change. But have mining companies learnt the lessons of the past, and how do they need to react to succeed in this new environment? Once measured by how well a company extracted resources, the industry’s value proposition may be shifting to how well a company acts on information to optimise production, reduce costs, increase efficiency and improve safety. In short, data – and the ability to organise, manage and process it – is becoming a competitive differentiator. To succeed in this effort, miners need a clear vision of how the future digital mine might transform core mining processes, the flow of information, and supporting back office processes. Once the information is captured, the use of data-driven analytics will help optimise their systems, from pit to customer. To some extent, innovation barriers exist because the design of mines and processing plants has not changed in decades. Although commodity prices have begun recovering, mining executives are still feeling the sting of the downturn. As a result, they are cautious, meaning that innovation efforts are constrained by the need to demonstrate short term returns. The catch is that, unless you are trying new things, you are not learning, and if you are not learning then you will fall behind. Mining companies can only achieve true innovation maturity if they go beyond the basics of operational improvements to embrace innovation in a broader sense. As the digital mine becomes a reality, the nature of work is set to change dramatically. Repetitive human activities will be replaced by automation and autonomous equipment that reduces labour intensity and improve safety. AI will help knowledge workers and integrated communications support mobile workers, while digital work scheduling and robust cybersecurity will keep operations efficient and protected. These changes will support a more diverse and inclusive workforce. Despite the significant contribution of the mining sector to the world’s economy, the industry’s reputation remains tarnished in many countries due to perceptions that mining contributes to environmental damage, causes a negative impact to the community and engages in dubious practices abroad. In a world influenced by round-the-clock news cycles and opinions aired in the court of social media, this type of backlash is only bound to increase. This will force mining companies to take proactive steps to address, and change, their reputations. This is more than a PR exercise. To rebuild trust with employees, investors, communities, governments and the public, mining companies must back up their messages with action. To expand local employment opportunities, increase tax revenues and meet demands for improved infrastructure and greater environmental protection, many governments of resource-rich countries continue to put pressure on the mining industry. As a result, mining companies still face considerable obstacles to investment, ranging from high royalty taxes, permitting challenges and uncertain tax rules, to demands for local processing. An underlying cause of this friction can be traced to miners’ own actions. Some of the social initiatives mining companies have undertaken in the past have failed to deliver their intended results. Increasingly, the industry is realising that its approach to community and government relations must change. As mines move towards more digital and automated operations, the effect on local employment – the basis of mines’ relations with communities – will change. To prevent a backlash, companies will need to leverage the digital infrastructure on behalf of communities, to improve communications, create new education models (e-learning) or deliver other digitally-enabled services. This will require companies to be more creative in understanding the real needs of communities. As ore grades decline, more water is needed to extract the same quantity, pushing up water requirements in the industry. Critically, this growing demand is not offset by available supply, with one in four people predicted to live in countries affected by chronic freshwater shortages by 2050. As concerns about water availability grow, communities and environment groups are turning their spotlight on water intensive industries. 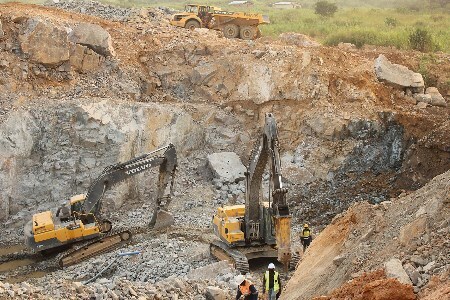 In light of this, mining companies must enhance their approach to water management. As shareholder expectations grow, mining companies have begun focusing on reestablishing their credibility in the investor community and with analysts. Rather than pursuing the mega-mergers of the past or building new mines, many are exercising higher degrees of financial discipline. Intense cost cutting may have improved the short-term fortunes of many miners, but it comes at a cost, with reserves of many commodities sharply down. Gold, copper, silver, nickel and zinc, to name a few, have all experienced reserve depletion in recent years. Despite the pick-up in commodity prices, many miners are struggling to free up the exploration and development budgets needed to exploit new resources. To transition to the mine of the future, companies must embrace new talent. To do this, miners need to make a substantial cultural shift. Some companies have already taken steps in this direction by engaging in cross-functional collaboration, seeking out best practices from other industries, strengthening their executive teams and setting targets to achieve greater diversity and inclusion. To decide which commodities to invest in, and which to get out of, miners need to keep their fingers on the pulse of changing consumer demands and economics, demographics and environmental change. More recently, they have also had to follow the rapidly developing emergence of new technologies. Battery demand is set to soar in anticipation of the exponential growth of electric vehicles and energy storage systems. Demand for lithium is also expected to soar, as is graphite, nickel and copper. The impact of these trends on the mining industry could be transformative.